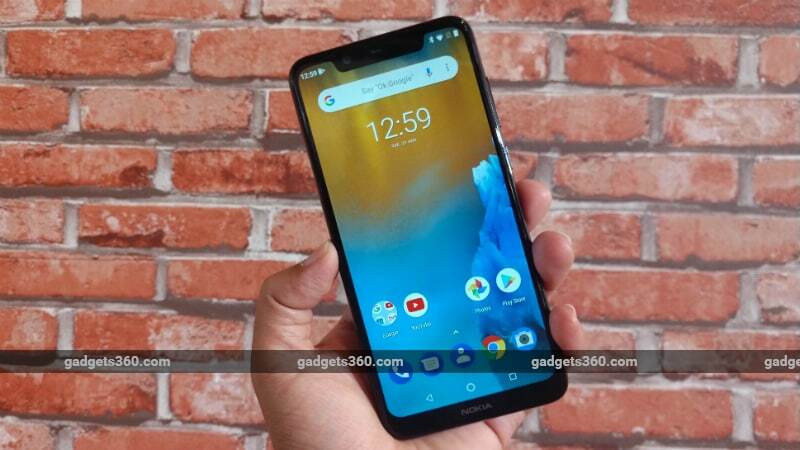 Hot on the heels of the launch of the Nokia 2.1 and Nokia 5.1, HMD Global has launched two new smartphones in India, the Nokia 6.1 Plus and Nokia 5.1 Plus, which feature notched displays and glass rears. The Nokia 6.1 Plus and Nokia 5.1 Plus were launched in China back in May as the Nokia X6 and Nokia X5 respectively. Both smartphones are a part of the Android One initiative and run a stock build of Android 8.1 Oreo. They feature an all-screen design with 19:9 displays. We got to spend some time with both smartphones and here are our first impressions. With the Nokia 6.1 Plus and Nokia 5.1 Plus, HMD Global has embraced current design trends head-on. The notch on the Nokia 5.1 Plus is a fair bit larger than the one on the Nokia 6.1 Plus. Despite the notches, these phones don't have borderless screens, and there are a significant chins where HMD Global has placed the Nokia logo. The Nokia 6.1 Plus and Nokia 5.1 Plus will be available in three colour options - Gloss Black, Gloss White, and Gloss Midnight Blue. The glossy finish looks attractive but picks up a lot of smudges and fingerprints. Unlike the Nokia 5.1 and Nokia 6.1, which feel hefty and solid, the Nokia 6.1 Plus and Nokia 5.1 Plus come across as a bit light and delicate. We will have to wait and see how they hold up to the stresses of daily use in our full review. On the positive side, they are compact and pocketable, and are much easier to hold in one hand thanks to the tall aspect ratio and curved edges. Both phones look similar from the back. The dual-camera setup is placed in a pill-shaped housing, underneath which is a circular fingerprint sensor, and a vertically oriented Nokia logo. The Android One logo is placed at the bottom along with the obligatory regulatory information. The Nokia 6.1 Plus features accents around the rear camera module, fingerprint sensor, power button, and volume button, which add flair to what is otherwise an understated design. The Nokia 5.1 Plus only features an accent around the rear camera module. Both smartphones have a USB Type-C port and a single loudspeaker at the bottom. We are glad to see that HMD Global has not gotten rid of the 3.5mm headphone jack, which is present at the top. In our limited experience, the rear-mounted fingerprint scanner on both phones was quite snappy, and the setup process was swift as well. The phones also support face recognition, a detailed assessment of which we will include in our full review. The Nokia 6.1 Plus has a 5.8-inch full-HD+ display and the Nokia 5.1 Plus has a 5.8-inch HD+ panel. In the limited time that we had, we found the display on the Nokia 6.1 Plus to be quite satisfactory, with vivid and punchy colours, and good viewing angles. However, we were disappointed with the viewing angles on the Nokia 5.1 Plus. A detailed analysis of the displays will have to wait till we conduct the full review of both phones. The Nokia 6.1 Plus is powered by the Qualcomm Snapdragon 636 processor, paired with 4GB of RAM. This is the same processor used in the Asus ZenFone Max Pro M1 (Review) and Xiaomi Redmi Note 5 Pro (Review) which are priced starting at Rs 10,999 and Rs. 14,999 respectively. The Nokia 5.1 Plus in comparison has 3GB of RAM and is powered by MediaTek's Helio P60 processor, which features a dedicated neural processing unit capable of handling deep learning for facial detection as well photo and video enhancement. In our limited experience, both phones performed admirably, with fluid animations, minimal load times for first-party applications, and little to no shutter lag in the camera app. The Nokia 5.1 Plus did crash on us a few times, but an HMD Global representative told us that phone was running pre-production software so we wouldn't read too much into that at this stage. The Nokia 6.1 Plus features 64GB of storage, and the Nokia 5.1 Plus has 32GB of storage. Both smartphones allow storage expansion using a microSD card (up to 400GB) and have 3,060mAh batteries with support for fast charging. One of the biggest USPs of both phones is the fact that they are a part of the Android One programme. They offer an optimised experience with stock Android, two years of Android version updates, and three years of monthly security updates guaranteed. HMD Global has confirmed that both smartphones will receive the Android Pie update in the coming months. On the imaging front, both phones feature dual camera setups at the rear. The Nokia 6.1 Plus has a 16-megapixel primary camera with an aperture of f/2.0, alongside a 5-megapixel monochrome camera with an aperture of f/2.4. The Nokia 5.1 Plus in comparison has a 13-megapixel primary camera with an aperture of f/2.0, alongside a 5-megapixel depth sensor. The Nokia 6.1 Plus has a dual-LED flash while the Nokia 5.1 Plus makes do with a single-LED flash. On the front, the Nokia 6.1 Plus has a 16-megapixel fixed-focus camera with an aperture of f/2.0, and the Nokia 5.1 Plus has a 8-megapixel fixed-focus camera with an aperture of f/2.2. Both phones share camera app features such as a live bokeh mode, AR stickers, dual-sight mode (allowing you to superimpose shots taken with the front and rear cameras simultaneously), beauty mode, and AI-assisted portrait lighting. Stay tuned to Gadgets 360 for our full reviews of both smartphones, in which we will evaluate their design, displays, software, performance, battery life, and cameras. 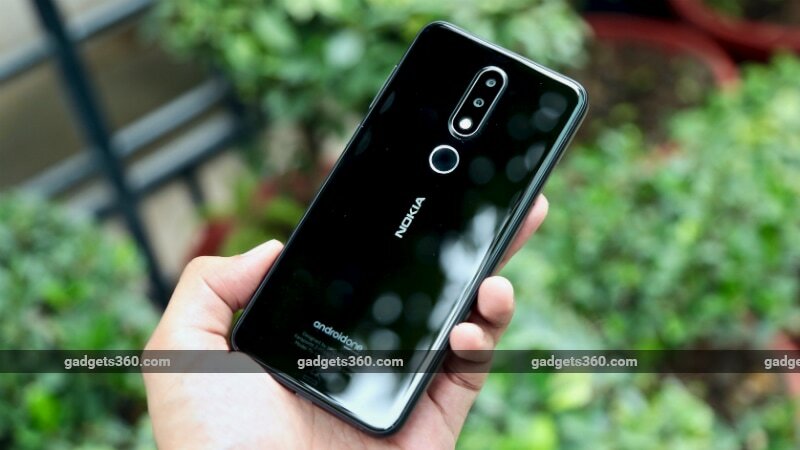 product Nokia 6.1 Plus price in India has been set as Rs. 15,999. Here are our first impressions of the smartphone and the Nokia 5.1 Plus.